It’s not uncommon to experience occasional minor tooth pain. Eating a sugary snack or something particularly cold might cause minor discomfort, but when the pain becomes continuous or unbearable, then you’ll need to visit a dentist. This is also the case if your tooth pain lingers after being exposed to specific temperature or after being touched. If your gums begin to ache or bleed excessively, you could be experiencing early signs of gum disease or gingivitis. Promptly contact your emergency dentist if you notice these signs. Another emergency dental sign could be a swollen jaw due to infection. A common infection associated with this symptom could be a salivary gland infection, which is also accompanied with a fever, trouble breathing or swallowing, and a bad taste in the mouth. 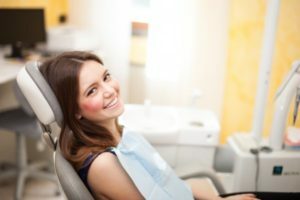 Speaking of bad taste, if you’ve had fillings previously put in and you taste metal, it could mean your filling has cracked, leaving your tooth prone to further infection. Unfortunately, not all signs are as easy to spot when determining a dental emergency. For example, while canker sores are normal and usually go away on their own, you should contact your dentist as soon as possible if you’re still experiencing symptoms after two weeks or start to show stronger signs of infection. Another less noticeable sign of an emergency includes consistent headaches. Your teeth live in your head (obviously) but since headaches can be caused by so many external factors (stress, eating cold food, recovering from previous sickness etc.) it can be hard at first to spot. It’s possible that you grind your teeth at night which can cause chronic jaw pain as well as chronic headaches. Stay one step ahead of dental emergency in Lynchburg and make sure to contact you dentist if you ever have any questions or concerns! Dr. James M. Peery, Jr. earned his Doctor of Dental Surgery degree from the Medical College of Virginia. He then completed a hospital based general practice residency at the University of Virginia where he went on to become Chief Resident. In 1980, Dr. Peery started his practice in Lynchburg, VA, where he also works along his son Dr. James M. Peery III. To learn more about their practice, you can contact them at (434) 847-5331 or visit their website.